La Sportiva Shoe Demo 2018 is here! 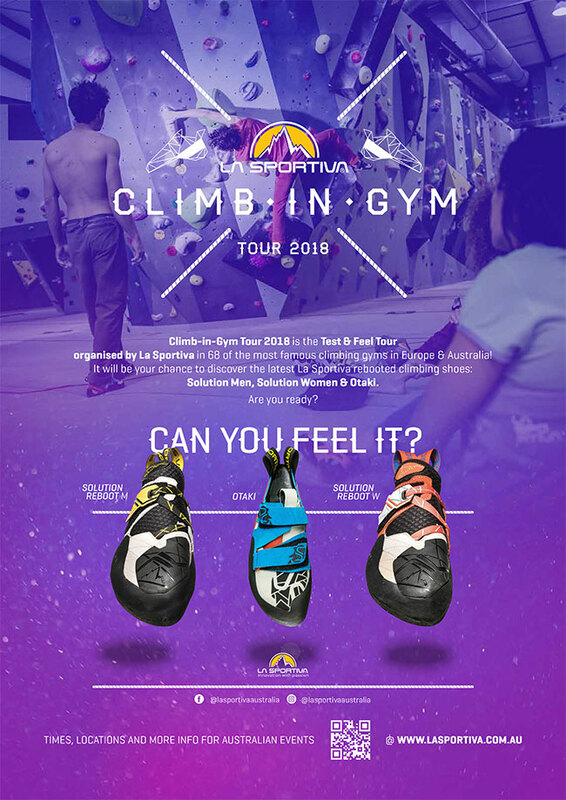 In 68 of the most famous climbing gyms in Europe and Australia, climbers will have the chance to discover the latest La Sportiva rebooted climbing shoes: 2018 Reboot Solution Men, 2018 Reboot Solution Woman and the new classic Otaki. We will have La Sportiva T-shirts, sunnies and stickers at the events as giveaways for people who buy on the night, plus have a competition to win a pair of La Sportiva rebooted Solutions. Bogong Equipment will be joining La Sportiva at North Walls climbing gym in Brunswick on Thursday 4 October for a night of demo-ing La Sportiva's latest climbing shoes! Test them out in the gym environment and look out for on-the-night deals, giveaways and apparel. See our range of climbing shoes.